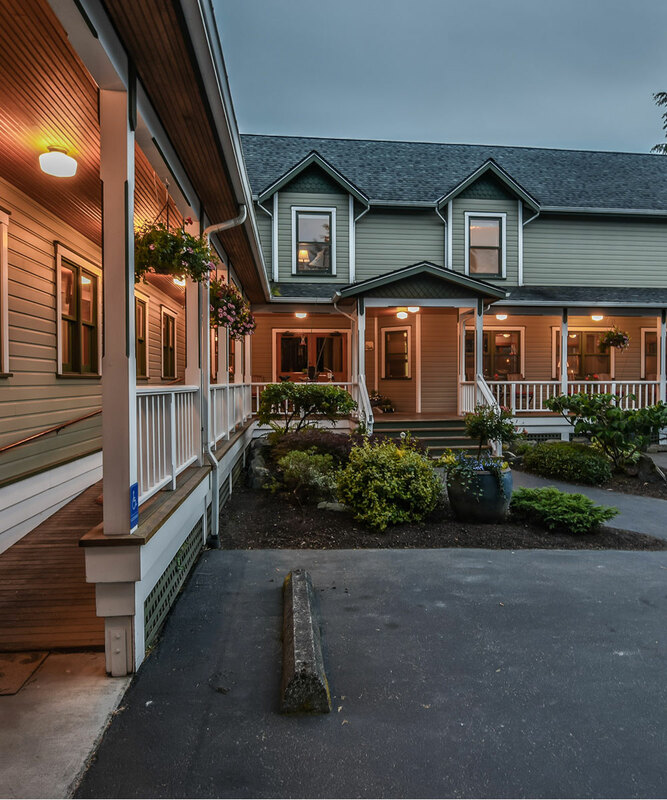 Escape the hectic pace of everyday life for a relaxing getaway at our boutique inn in lovely La Conner, WA. 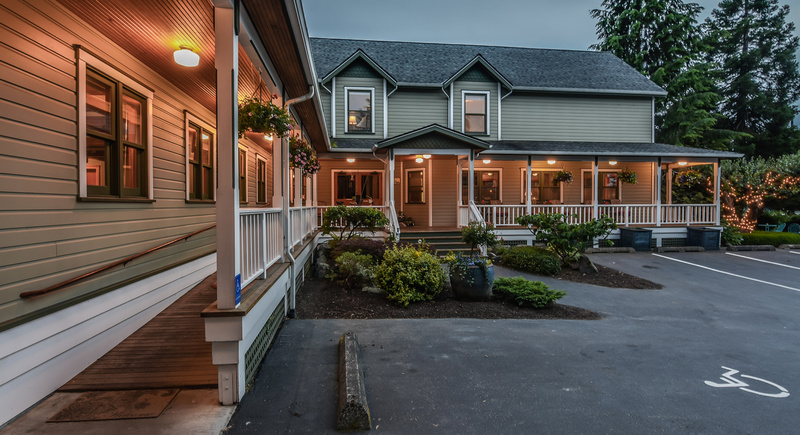 As experienced innkeepers, we have found the perfect balance between luxury living and a comfortable, home-style experience. Explore the beauty of La Conner and the North Puget Sound area, and come home to the tranquility of the Wild Iris Inn. Book your guest room online, or call us today to make reservations. Don’t forget to take a peek at our add-on packages to create the perfect escape! Check-In Time: After 3 p.m.
Our Guest Services Desk closes daily at 9 p.m. If you are arriving after 9 p.m., please let us know in advance so we can make arrangements for your arrival. Our inn is a non-smoking premises, both inside the guest rooms and outside on balconies, patios, decks and common areas. As per Washington State law, there is no smoking allowed within 25 feet of the building. A minimum cleaning fee of $250 will be charged to anyone smoking in these areas. Cancellation of your reservation must be made 72 hours prior to 3:00 p.m. on the day of your scheduled arrival. Group booking policy. 2-4 rooms require 14 days cancellation notice. 4 or more rooms require 30 days’ notice. Holidays & Tulip festival require 14 days. Cancellations made after this period will result in payment of the full room and tax of the room that we reserved for you. Please ensure you receive an e-mail verifying cancellations. Keep a copy of your cancellation as proof of any room cancellation at our Inn. All early departures will be charged the full room rate of all rights reserved. Should housekeeping find any rooms damaged the hotel will charge the credit card responsible for the room for all damages and/ or cleanup fees. We welcome well-behaved children over the age of eight. No pets allowed. Additional cleaning fees between $60 - $200 will be charged if there has been a pet allowed inside the room. A complimentary two-course breakfast is included in your stay. 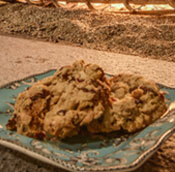 All our guests ask about our famous Wild Iris Cookies. We would like to share our receipe so you can take a little piece of La Conner home! In a small mixing bowl, blend the melted butter, brown sugar and white sugar until creamy. Add the eggs, vanilla and water. Mix until well blended. In another larger bowl, mix the flour, baking powder, salt and baking soda, then add the white chocolate chips, chocolate chips, coconut, cranberries, walnuts, rolled oats and granola. Add the wet ingredients to the dry and blend well. 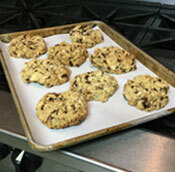 Shape into golf ball sized balls and place on an ungreased parchment paper lined cookie sheet. Bake at 325 for 10 minutes or until just turning brown. Take a spatula and gently round out the cookies. After a few minutes, remove them and place them on a cooling rack. Give them another “rounding” with the spatula, which will add some height.